With the election around the corner, I thought it might be a good time for me to re-release this video. I’m pleased to say that throughout the challenge mentioned below, I never missed a deadline and was able to avoid using the $500 check discussed in the post. 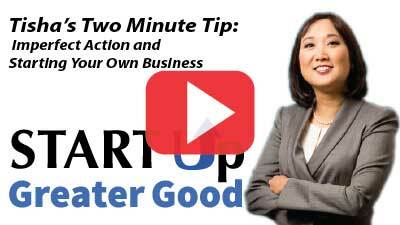 Tisha’s Two-Minute Tips is part of a challenge where I committed to creating Two-Minute Tips in 30 minutes or less within a certain deadline. That particular day, I forgot most of my makeup, hair products, and accessories–LOL! But I was determined to meet the challenge by the deadline—imperfectly–because I didn’t want to suffer the consequences. In our challenge group, we each wrote a $500 check to a political candidate that we OPPOSE. (If the political candidate makes you involuntarily roll your eyes, gag, or cause another physical reaction of disgust, then that’s who you write the check to.) If we don’t meet our deadline, the group has permission to mail off the check! It’s a great incentive to force you to act, even if imperfectly! This seemed like the perfect time to talk about acting imperfectly. So watch this week’s video as I model “imperfection” again.